Over the past two years, email has been at the center of my online marketing efforts for my different brands. But just like designing my site with WordPress, it took me a while to take the plunge and start building an email list. I’m not sure what put me off; maybe I was scared of taking the next step. But after signing up for an account at Aweber, I haven’t looked back since. 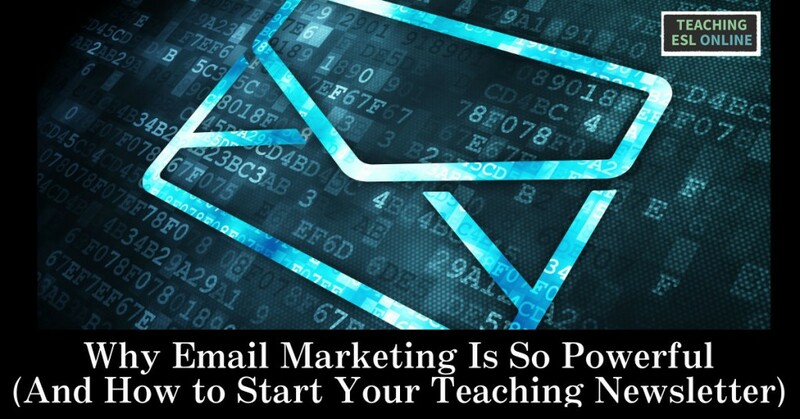 In this post, I am going to talk about why having an email list is important for independent online teachers (or anyone selling their services and products online), give you an overview of how to use email in your teaching business, and then show you how to get started. Let’s look at this in more depth. Email is still king when it comes to communication, and to bring learners into your lessons – and to offer other services and courses to your audience – you will need to communicate. 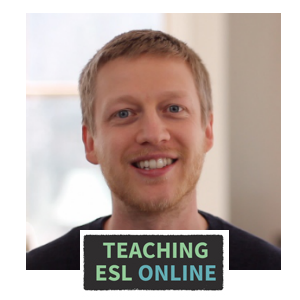 In March 2014, I created a course for my English learners on an external platform. As a featured teacher on their platform, my course was advertised and pushed heavily on social media. In addition to their efforts, I sent out emails promoting my course to those on my email list. Out of everyone that signed up, 90-95% came from my list. Well, in addition to emailing my list with information and reminders about the course, in the months prior, I had sent out lots of free content. I had also replied to all emails that I received, meaning that I had slowly built trust through a medium that allowed me to communicate one-to-one on a massive scale. Sending out free content (emails, links to articles, videos etc. ), and engaging with your subscribers, gives you the solid foundation on which you can start promoting what you offer. It builds your brand and the trust of your subscribers. And once you have built that trust, email is the best way to promote your products and services. You should use social media in this way too. But email performs much better than social media when it comes to reach (click through rates, open rates etc.) and ROI in general. To highlight why, think about how long you have had your email address and how often you check your emails. Most people will process every email they receive (even if this just means scanning the title). On the other hand, social media sites come and go, usage levels vary, and algorithm changes can make reaching your followers much more difficult. This is why email is so powerful. If you’re solely building your brand on platforms you don’t own, you’re making a mistake. As you have just learned, email has the best ROI, and beats social media pretty comprehensively. But in addition to that, an email list is something that you own, no matter which email provider you use (options below). The Real Life English team knew this and put their focus on email from the start. That is why when their Facebook group of 120,000+ learners got deleted it wasn’t a disaster for them. Facebook, YouTube, Twitter, and other platforms are amazing for reaching learners and building your teaching brand, and should be part of your marketing efforts. But building your brand solely on these platforms is risky. The first thing you will need to do is sign up with an email marketing provider. My recommendation is Aweber. It’s very similar to its rival MailChimp in many ways, but the reason why I am prefer Aweber is down to their support. Aweber offers free support (phone and online chat), and I have used this numerous times over the last couple of years. When I was thinking about making the switch to MailChimp, it took their support team over a week to answer a couple of simple questions I had, and there was no telephone number to call. One reason why many teachers choose MailChimp is because it’s free for the first 2,000 subscribers. However, the free account is limited, and you will need a paid account to use even some of the basic features (like automation – more on this later). However, the important thing to know is that both options will work fine in most cases, and they both will end up costing more or less the same. So just pick one and go for it. One thing you will need, no matter which provider you choose, is a postal address. This is due to the CAN-SPAM Act, and you won’t be able to send out emails without including an address. If you’re uncomfortable putting your home address at the bottom of emails, you can get a P.O. Box or something similar. Let’s move on now and talk about the types of emails that you can send to your subscribers. Let’s say that you’ve just written a new post on your website and want to share it with those who signed up for updates. There are two ways that you can do this: send a blog broadcast or a regular broadcast. The difference is that a blog broadcast goes out automatically when you publish your post (you connect your site to your email provider), whereas a regular broadcast allows you to write anything you want to write. Personally, I never send out blog broadcasts, and use regular broadcasts instead (including the link to the article in the email). When promoting your lessons or courses in a general sense, you’ll do this through a regular broadcast too. The third type of email is an automated email. For example, when someone subscribes, you can send them a welcome email that goes out automatically. In addition, you can send a series of follow up emails that go out automatically when you want them too. This is very useful if you want to promote your lessons or course through a series of emails in an automated way (see example later in the post). Let’s now talk about how to get subscribers. Once you have everything set up, it’s time to start getting learners to sign up to your email list. Generally speaking, you’ll get higher conversions if you give something away for free instead of just asking people to subscribe to your newsletter. I’ve given away mini-ebooks, free 7/14/30 day courses (using email automation), and resource guides. When deciding what to give away, just think about what would be valuable to those in your niche. On this blog, I use a plugin that is no longer available. 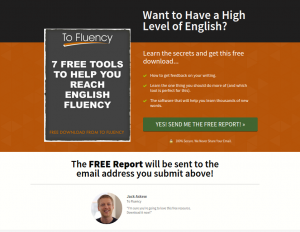 But on my site for English learners, I use LeadPages for everything email related. I use it to create opt-ins on my posts, for pop-ups, and also for landing pages (explanation below). Alternatively, you could use the sign up forms that come with Aweber/MailChimp which are easy to set up and integrate. For those that don’t know, a landing page is a specific page that you create to encourage visitors into signing up to your email list. Here is a landing page for my English learners. Visually, it’s not that great, but it converts really well. I send learners to this page from social media, any advertising I do, YouTube, and other platforms. Once they enter their details, they receive a welcome email with a question, and then over the next few weeks, 17 automated emails. Once they go through these emails, they are added to a list where they receive regular email updates (new posts and videos) and promotional emails. Although there are many ways to use email marketing in your online tutoring business, here are some best practices from my experience and research. As I re-branded my site for English learners, I made the mistake of not sending out an email for around six weeks. I’ve also been inconsistent at other times too. I recommend that you post on a weekly/bi-weekly basis, but feel free to send more emails if you can make it sustainable. If you are promoting something, then you will want to send many emails around this time as this leads to more sales. I used to send a more branded email, but now I keep things as simple as possible. At the moment, I don’t include a logo on my emails, and format them in more or less the same way as a personal email. You might prefer to brand your emails, but try to keep things simple and easy to read. Additionally, be yourself and let your personality come through. I’ve had many English learners sign up to lessons or courses many months after joining my email list. One of the benefits of email marketing is always being there, meaning that when someone is ready to sign up to lessons, you will be on their mind. This is key not only for one-to-one lessons, but for when you want to expand on the services you offer. – The learner then receives emails from you (automated) that include free videos, advice, blog posts etc. As you can see, this creates a way for you to give your potential learners value before you promote something. This works much better than just sending people to a page where you sell your lessons. And because the majority of this process is automated, it allows you to scale this process without having to put in any extra work. LeadPages: If your budget allows, this is the ultimate software to create landing pages, opt-in forms etc. Easy to use and easy to integrate with WordPress and Aweber/MailChimp. If you’re thinking about getting started with email marketing, I suggest doing this sooner rather than later, as email is king when it comes to ROI and building a brand. 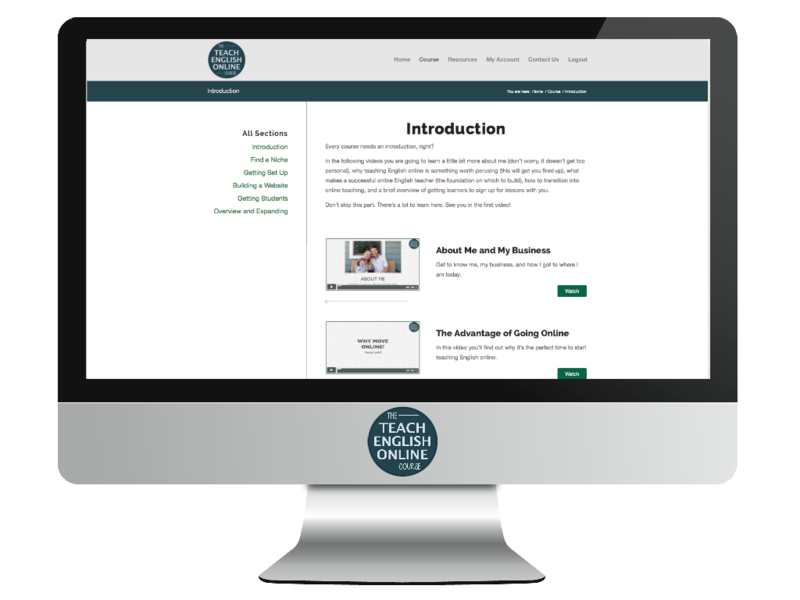 Do you have an email list for your teaching business? If so, let us know about your experience with this. If you have any questions, please leave them in the comment section below, or get in touch with me here. Thanks for reading, and if you found it useful, please use one of the buttons below to share it. With my YouTube Channels, social media profiles, and online courses, I’ve made around 200 videos over the last 12 months. And in this post, I’m going to talk about the equipment and tools I use, along with alternatives to suit every budget. A big part of my process recently has been to make it as easy as possible to start shooting a video; I have put my DSLR camera and lavalier mic away for the time being. And because of this, along with speeding up the post-production process, I’ve brought down the time it takes to create a video for my English learners (from the initial idea to the uploaded video and post) from around 6-8 hours to about 1-2 hours. So, with that in mind, let’s look at what you’ll need to create videos, what I use, and the alternatives out there. And we’ll start with something you’ll definitely need if you are going to feature yourself in your videos: a camera. Most people already have a perfectly fine camera for shooting high quality video: a smartphone. The benefits of using a smartphone are plentiful: you always have it with you, the quality is great (newer models), you can easily share video straight from your camera, and there are several apps that you can use on your phone. I have found that the iPhone earphones improve the audio quality (there is a mic on there), but there other options like this lavalier mic (cheaper options are available). For some of my short and more relaxed videos, I just hold it up and shoot. But in most cases, you’ll need to think about where you can put it to get the shot you want. I’ve been using this tripod with my phone, and it’s a lot of fun as well as being functional. Alternatively, you can use a regular tripod with an adapter, or get a desk tripod if you are shooting from your desk. If you are just starting out and have a smaller budget, and already have a smartphone, this might be the best camera option for you. I’ve been using my webcam for the majority of my videos recently. The reason for this is because it’s the easiest way to start shooting; it’s always there just sitting on top of my computer at an angle that I like (it means I don’t have to tidy my room before recording!). The quality isn’t quite as good as a smartphone (not with the webcam I have), but with a few tweaks, the videos look good – a big part of video quality from my experience is how you export your video (more on that later). 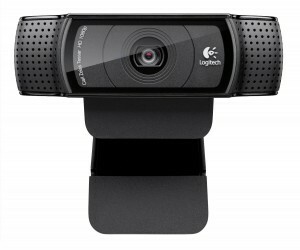 The webcam I use is the Logitech C920. It works best on a PC, but there are some tweaks you can make so that it works on a Mac too (this is the app I use). It normally sells for $70-90. The most expensive option is a DSLR camera. This is the camera I used when I first starting making videos (note: I have the t3i). Personally, I found it too much work setting things up and shooting this way, especially because I had to put everything away after recording. For me, it just created too much friction. However, the video quality is amazing, especially if you get a good lens. Just like the smartphone and the webcam, you will need an external microphone as the sound quality is poor when using DSLRs. I may go back to using this camera for future videos, but for now, my smartphone and webcam are perfect, and allow me to get more videos uploaded. Whatever camera option you go for, you’ll need an external microphone. Sound quality is important, and you just can’t get high quality sound from a camera/webcam/smartphone alone. One option that came up during my research for an external microphone was a shotgun mic (it sits on top of your camera), and this option from Rode is a popular choice. I know other teachers who use a shotgun mic, and it will give you great audio if you have the budget for it. An alternative is to get a lavalier mic (this clips onto your top). You can connect it to your computer, an external recorder, or directly to your camera. I used to use a lav mic connected to this external recorder, and then I synced the audio to the video during post-production. Things can get really expensive here (especially with wireless systems), so getting a $25-40 mic that connects directly to your camera is something you may want to start with. 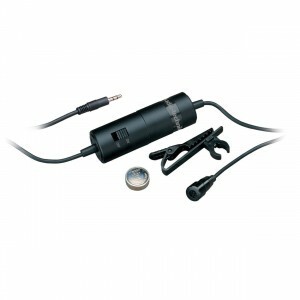 And as I mentioned earlier, if you are using your smartphone, there are lavalier mics available for this too. As I’m using my webcam at my computer, I now use my desktop microphone. I’ve had the Audio-Technica ATR2100 for a few years now and I still love it. The only drawback is that you need to be physically close to your desk, or wherever your mic is, when recording video. My stand-up desk helps me stay close enough to my microphone when I record. 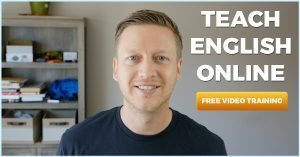 If you’re not going to create videos with your face in them, – for example, a presentation style video using power point – then a desk microphone might be your best option. As you can see, there are many audio options available, and what microphone you get will largely be influenced by the camera you have and the type of videos you want to film. Photographers and video makers constantly talk about the importance of lighting. Shooting outdoors usually offers great lighting for your videos, but background noise and the weather can cause problems. Therefore, you will most likely prefer to shoot indoors. If you’re in a well-lit room, then this won’t be as much as an issue. However, even if you have great natural light indoors, you may want to shoot video at night where everyday lights won’t suffice. I decided to buy the Cowboy Studios kit, which is a bargain for what you get. There are DIY options for $10-20, but I decided that spending an extra $30 or so was worth it. When I film, I place two lights either side of my desk, and because I’m far away from the back wall, I don’t need a back light. If you are filming against a wall, you can use the third light just behind you to eliminate shadows. Let’s talk about editing now as this is a big part of creating videos. I use ScreenFlow and can’t recommend it enough. You can record your screen or from your webcam, it has everything you need for editing videos, and then you can export a video directly to Facebook, YouTube etc. It’s for Mac only, but I hear that Camtasia is a good alternative for PC users. Alternatively, the free video editing software that comes with Macs and PCs is getting better and better. I’ve also played around with iMovie on the iPhone, and there is quite a lot you can do with this app. Earlier on in the post I talked about how you export videos is important for video quality; if your software allows, bump up the bitrate. I export mine at 10,000 – 20,000; the file sizes are bigger, but the quality on YouTube and elsewhere is much better. One more thing that you might consider getting is presentation software, preferably something that allows you to record presentations and export them as a movie file. Keynote (Mac) and Power Point have these features. If your software doesn’t, you can get around this is by using screen capturing software like ScreenFlow. So, What Tools Do/Will You Use? There are other things that you might need (animated intros, music files, extra gear), but the above will suffice in most situations. No matter what you use, content is still the most important thing. But with the cost of creating videos decreasing, the barrier to creating something that looks and sounds good has been blown away over the past few years. 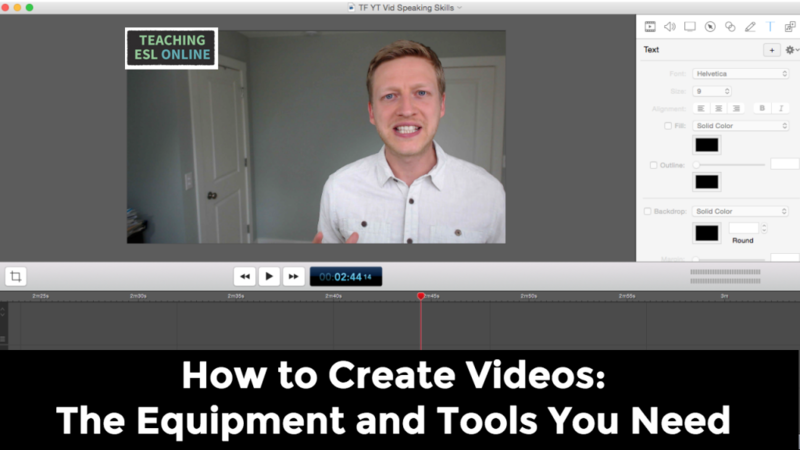 What equipment and tools do/will you use to create videos? Leave your answers below (and please feel free to link to your videos)! 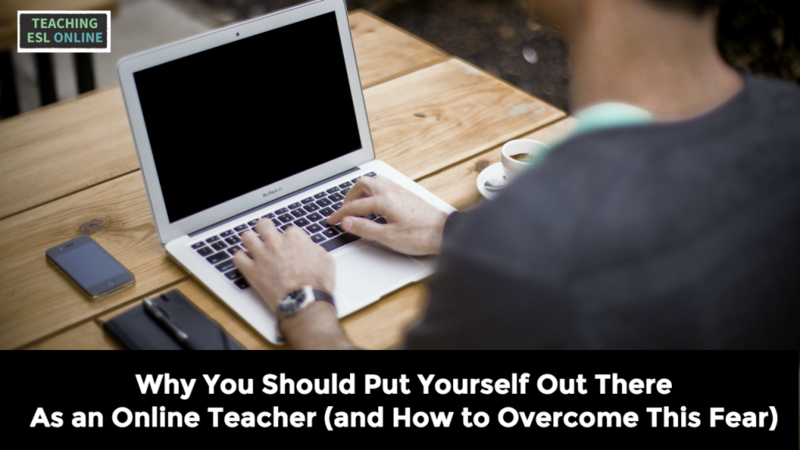 Are you nervous about putting yourself out there as an online teacher? I speak to a lot of English teachers who want to move online, but fear is holding them back. I know how inhibiting this can be: it affected me for a long time. In certain ways, it still does. It’s scary creating something that is centered on you, especially when it has the potential for the whole world to see and judge. Overcoming this fear is important; if you want learners to take lessons with you online, you’ll need to put yourself out there. Learners want to be able to connect with their teacher before signing up to lessons or courses, and the best way to do this through your words, pictures, and videos. I’m going to have some advice for you if you are apprehensive about all of this, but before I do, I want to quickly share my story. I’ve gone from someone who was really apprehensive about posting a photo on my site – you couldn’t really see my face on the first photo that I posted – to someone who now creates videos and does live webinars. Looking back, getting started was scary. I was nervous about what people would say about my pictures, my voice, and my content. However, I managed to slowly overcome these fears, and now I want to share my experience and some advice for you if you are apprehensive about moving online. I’ve been asking teachers in my recent interviews if they felt nervous when first putting themselves out there. If you have watched these interviews, you will know that all the successful teachers that I have talked to were apprehensive when first starting out, especially when it came to posting videos. They had the same concerns as I did. But what did they (and I) do? They wrote their first post/created their first video/recorded their first podcast for those who they wanted to serve, and built on this initial post. Something that I think is really important to know is this: your first homepage/article/video is not going to be perfect. It takes time to find your voice and make something that people enjoy and derive value from. When I created my first video for English learners, it took about ten takes for me to be content with it. My website for English learners has gone through about 12 redesigns. I have edited/proofread this post on five separate occasions. You are going to get better, and it will all get easier, but you still have to start. If you’re really nervous about publishing that first post, send it privately to a few learners first and get the validation you need to share it publicly. I was a little nervous about starting this blog as I was talking about something that no one else was at the time. Putting ideas out there is scary too, especially if what you’re talking about can be divisive (input vs output in language learning, vegan vs paleo, religion etc.). In my opinion, it’s all about gaining the confidence that your ideas and materials for English learners are going to help others. And the more you teach, write, and do, the more you will have to say, and the more you will improve. Focusing on one area of English (IELTS, pronunciation etc.) will help you create things that others are going to really like. You will become an expert in this area, and therefore, the articles on your website, your videos etc. will be of higher quality. Another concern that I’ve heard from other teachers, and something that I definitely felt, is when you see what is already out there, you might think that your materials won’t be beneficial. Making comparisons can be paralyzing. But what you offer is unique, especially if you have one area of English that you enjoy teaching. The right mentality to have is to think about the problems your learners have and solve them. Don’t worry about what others are doing and how your materials compare, especially at the beginning. If you dedicate yourself to this, then you will soon have valuable and unique content to share. I was really worried that I would receive a lot of comments from others who just want to be negative. This hasn’t happened that often (there is one guy who uses has troll in his usernames and turns up every six months or so), and when it does, it’s not that much of a big deal. Sometimes, it can affect you, but this feeling doesn’t last long. One of the best things about your site, YouTube Channel, and social media profiles is that you can delete comments and ban users. That is what I do now if someone is trolling: I delete it, ban them, and move on. It’s very easy to get sucked into what they ultimately want you to do: feed them. This happened last week, actually. A guy emailed me with a bunch of abuse. I responded to his first email in a very brief way (mistake), he replied with an essay of attacks, and I was into my second paragraph when realized what I was doing was a mistake. I discarded the draft and moved on. Constructive criticism, on the other hand, is different. It’s great to get feedback from others, and I encourage you to ask for it. I ask my learners what posts they like, what posts they don’t like, and how I can better help them, and this feedback is invaluable. Something else we all have an issue with is fear of failure. I’ve talked to a lot of teachers inside TEOC and over email, and fear of failure is holding a lot of people back. The thought of investing yourself in something like creating a site for your English lessons, making videos or even a course, and then for you and everyone else to see it flop, can put you off starting. One thing that I’ve been working on in this area is to see everything as a learning experience to detach myself from the results. It’s easier said than done, but the idea is this: if you commit to making a success out of teaching English online, work through the obstacles that are put in front of you, and are willing to learn and pivot as you go, then you will get there. If your first website doesn’t work, make it better. If your first video is terrible, rerecord it. If your student doesn’t show to the trial lesson, email them and do something to find other learners. Success isn’t based on your first attempt – you may get it right early on – but on committing to this for the long-term. It’s beautiful seeing someone embark on the journey and making improvements over the weeks, months, and years. This post is based on my experiences and conversations with online teachers and online teachers to be. And as you will have picked up, the main theme running throughout this article is to get started, focus on your learners, and improve the content you produce as you go. What I want to know is if you are nervous about putting yourself out there, and if so, why? Also, if you have overcome this fear, please share your story.